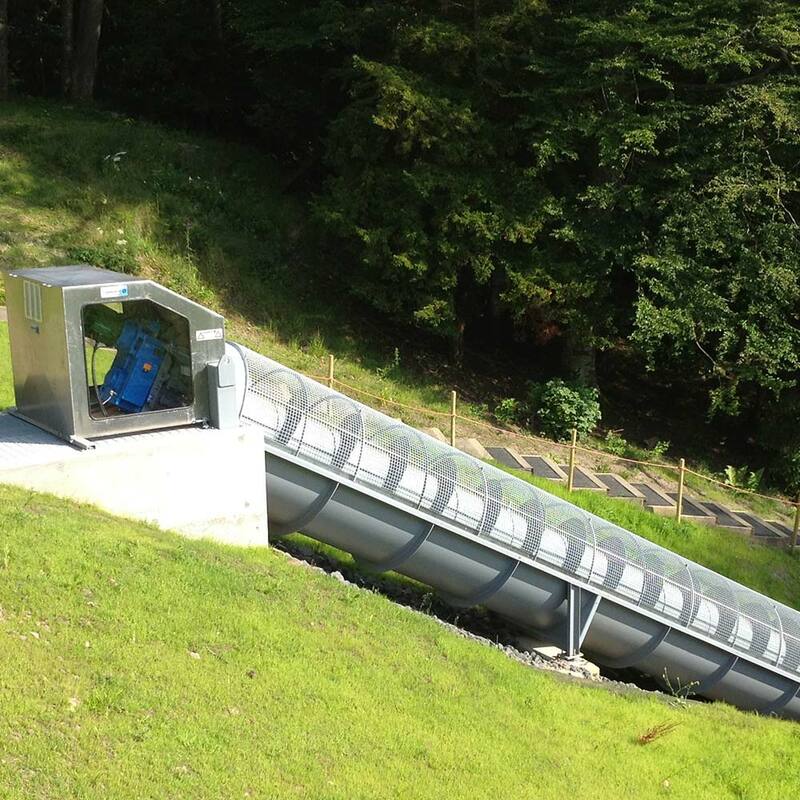 It was MannPower that first introduced the Archimedean Screw turbine to the UK in 2004. 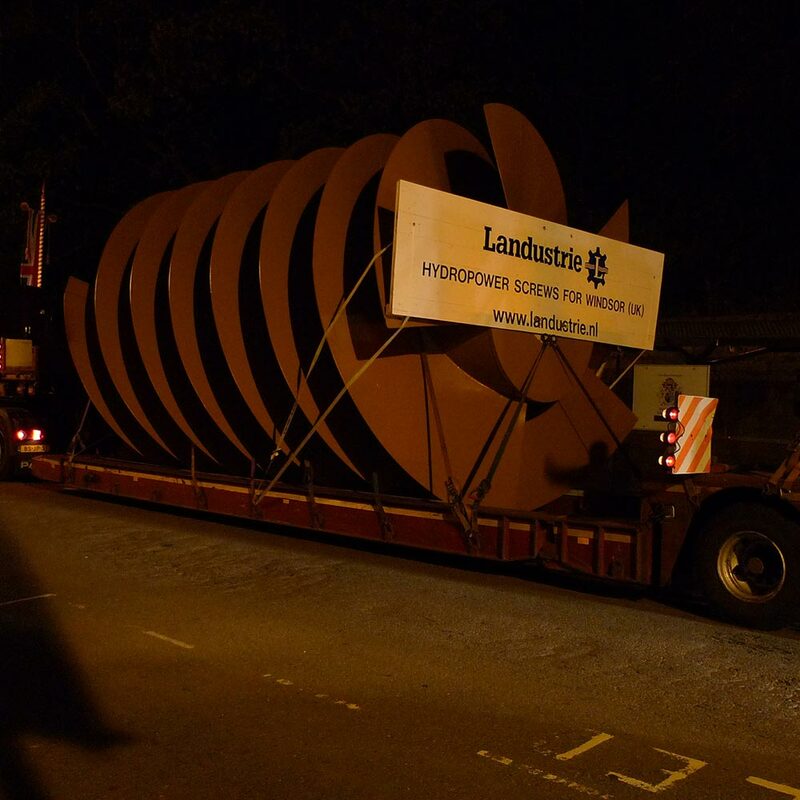 Since then we’ve installed more of these turbines than any other operator. 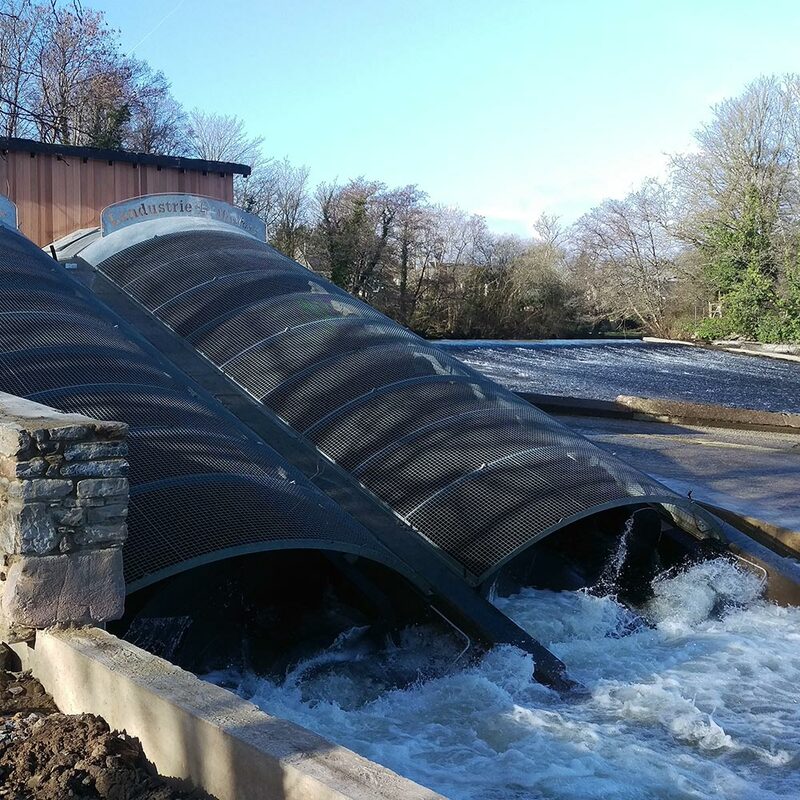 We’ve accumulated experience and expertise designing and delivering Archimedean Screw hydropower solutions from modest 1kW schemes through to huge systems generating hundreds of kilowatts. To get a clearer idea of what this scale difference means in practical terms, take a look at some of our case studies. As you can see from the map below we’ve got Archimedean Screw turbines installed and generating all across the UK – with more coming on-stream every month. Installed to provide a renewable source of energy to Windsor Castle. 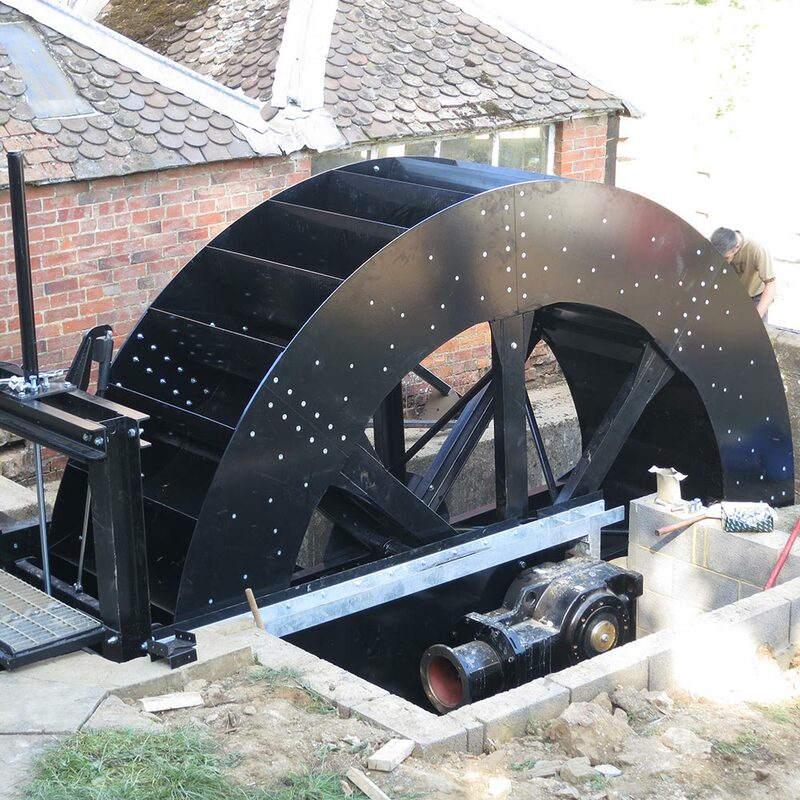 Waterwheel installed in place of an old one to provide a renewable source of power to a private dwelling. At the end of this stage you will have an appraisal of the viability of your scheme, including potential revenue and costs. At the end of this stage you will have an outline of the basic parameters of the scheme in terms of size, anticipated output, layout, environmental considerations, necessary consultation and budget costs. Keep an eye on water flow rates, turbine efficiency and, of course, the amount of electricity your Screw is generating. 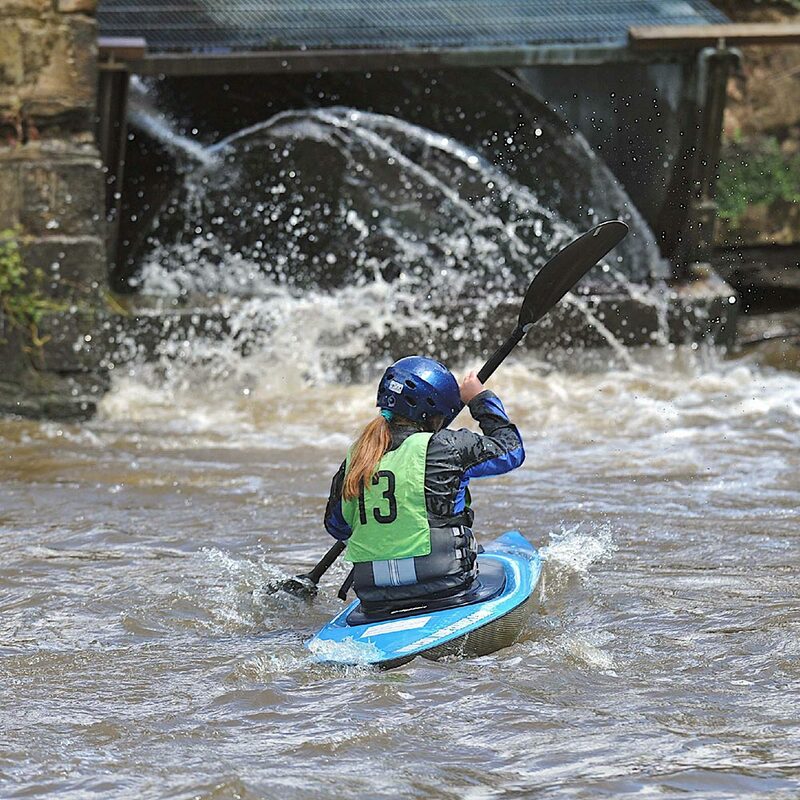 I invested in the Totnes Weir Hydro Project for the satisfaction of doing something good for the community and environment, with the added bonus of a potentially great economic return. The project is now operational and is already exceeding expectations. It is selling more energy locally than originally envisaged, supplying low cost electricity to the local foundry as well as the local school, rather than the grid, thus, increasing its environmental and economic benefits. Visually, the plant looks great, which was particularly important to locals, and it is becoming something of a tourist attraction! Furthermore, the first dividend of 8% has already been paid. There was a real buzz surrounding the project during the build and it is fantastic to see it generating. I feel very proud to have been personally involved. Mannpower designed and installed our 100kW scheme at Linton near York in 2012, and since then it has consistently delivered on their predicted output, with overall performance 6% higher than expected. I am delighted with how the project has progressed under MannPower!! The speed of installation … simply amazing. Gareth always helpful and sorted out the couple of running problems. The house is now toastie warm and 4 – 6 Kw doing a great job. I disconnected all the immersion heaters on the house phase…so now running 2 phase heaters! The power output is more than I budgeted for or envisioned and I’m delighted at how well the whole scheme has come together. There is enough power to supply the main house, which is used as a wedding venue and conference centre, along with the associated buildings including a café bar and two bungalows – any surplus we export back to the grid. The proposed hydro generation development at Totnes Weir on the River Dart is an excellent example of pre-application cooperation between the developer, Mann Power; their fisheries consultant, Fishtek; the body which represents riparian owners and anglers on the Dart, the Dart Fisheries Association; the lessees of the fishing in the weirpool, Dart Anglers Association; the representative body for all riparian and angling interests in the South West, south West Rivers Association and the Environment Agency. 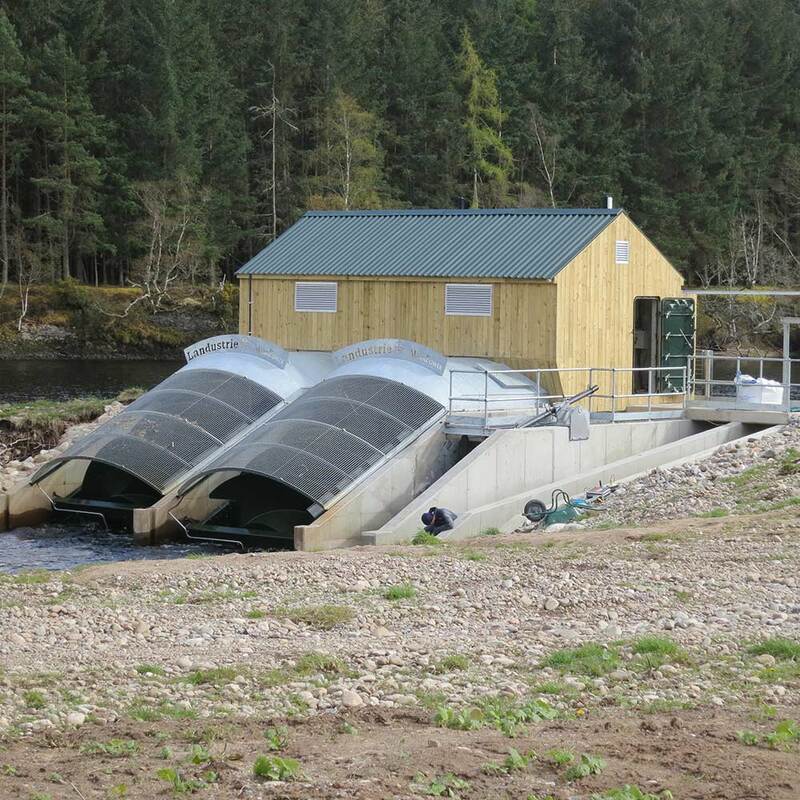 The outcome is a scheme which will improve fish passage over the weir, generate a significant amount of renewable energy and provide much needed monitoring of fish migration over the weir. Send us a few details and we’ll get right back to you.